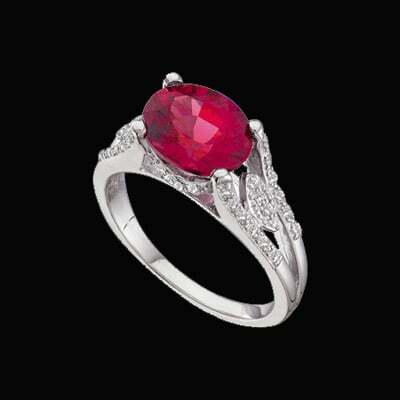 Elegant 14k white gold Rhodolite garnet and diamond ring. Oval Rhodolite set east to west measures 10x8mm, accent diamonds total 1/5ct tw. A very pretty ring. 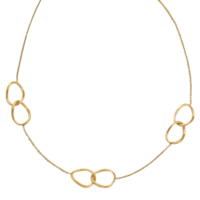 Lovely 14k gold Satin finish link necklace. 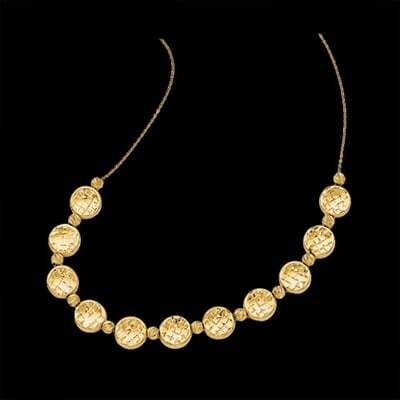 This Italian made gold necklace is 17 inches long with a 1 inch extension. Weighs about 8.65grams. Chain portion measures 1.5mm wide, link designs are 33mm in length by 14mm wide each. Secured with a fancy lobster clasp. 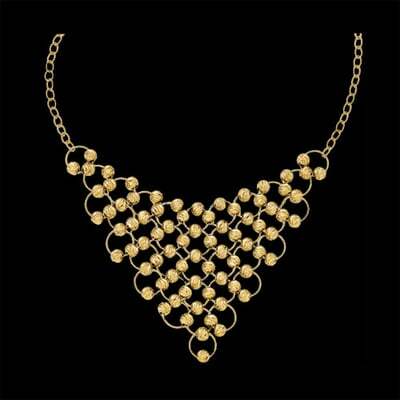 Pretty 14k yellow gold bead bib style necklace. 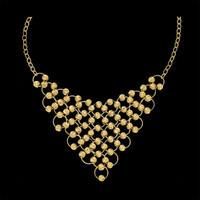 Lovely bib design necklace features corrugated beads and ring design in a 17" inch length. 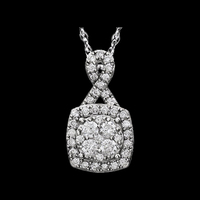 This necklace features a diamond cut finish and a lobster clasp. Italian made necklace weighs about 14.95grams. A stylish necklace. Stylish 14k yellow gold bead design drop necklace. This necklace measures 17 inches in length and features a scratch finish. Italian made necklace is secured with a fancy lobster clasp and weighs around 6.22grams. Craftsmanship on this necklace is guaranteed for life!!!! If this item breaks FOR ANY REASON we'll replace it FREE. How can you beat that? 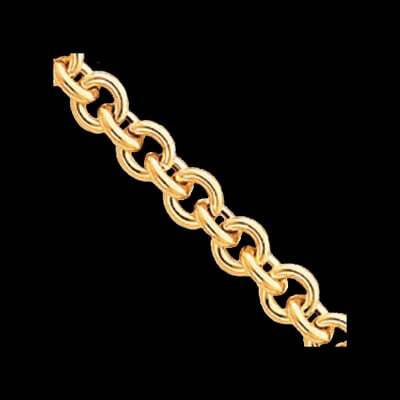 14k Yellow gold fancy Rolo link chain. This chain measures 8.75mm wide by 18 inches in length. A Nice chain to wear alone or with a very large pendant. 14K White gold dazzling diamond earrings. These diamond ball earrings are pave set with .56ct tw diamonds. You'll love these beautiful earrings. Incredible 14k Two Tone Gold diamond semi mount. This Gorgeous semi mount is created with 3 rows of diamonds on either side totaling 1/2ct before the center diamond. Check out our " Loose Diamonds diamond data base for a center diamond perfect for you. 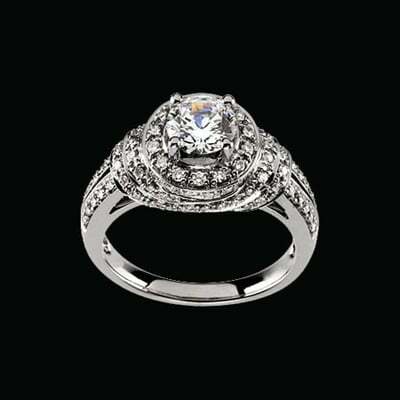 14k White gold diamond bridal semi mount engagement ring and matching band. 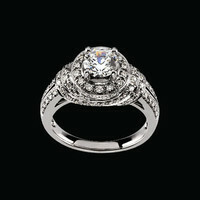 Antique inspired engagement ring is set with 82 round diamonds totaling approx.. 1/2ct tw. These diamonds are SI 1-2 clarity G-I color. 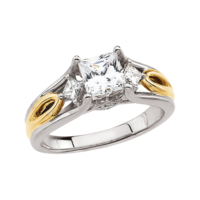 Center will hold a 1 carat round stone, we have thousands of loose diamonds perfect for this or any of our semi mounts. 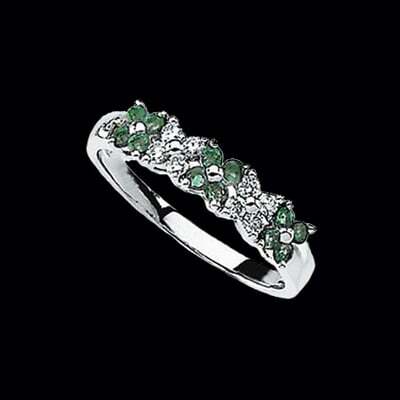 Matching band also available and is set with 1/10ct tw diamonds. Lovely 14k two tone gold princess diamond engagement semi mount. This unique engagement ring is set with princess cut diamonds set in a diamond shape. 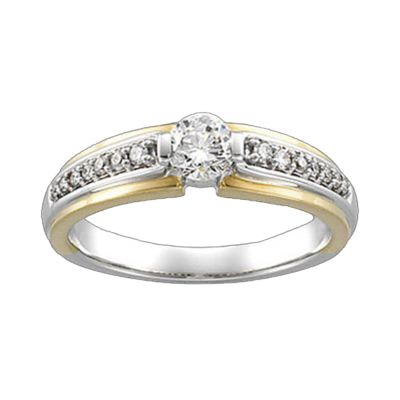 Matching diamond band available at additional cost. Check out our Loose Diamonds diamond data base for a center diamond perfect for you. 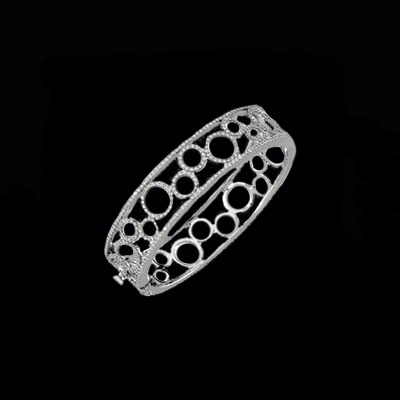 Gorgeous 14k White gold Diamond circle design bangle. Diamonds everywhere on this incredible diamond bangle, they total an incredible 6 7/8ct tw. This bracelet weighs 36.62grams. 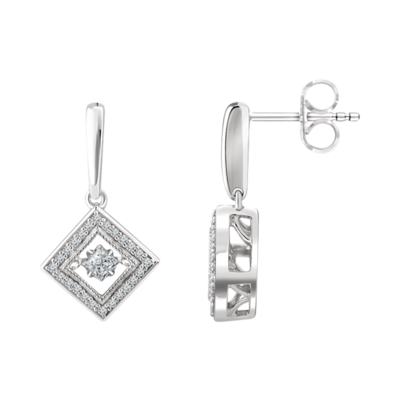 Stylish 14k White gold Diamond Geometric earrings. This pair of earrings is set with 1/2 carat diamonds. Each center diamond measures about 2.8mm round .14ct and accent diamonds are prong set in the diamond frame. Earrings measure 22mm in length by 12.25mm wide. Dazzling diamond earrings. 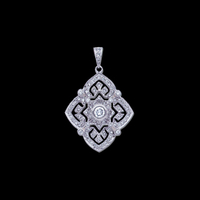 Incredible uniquely new style diamond necklace. 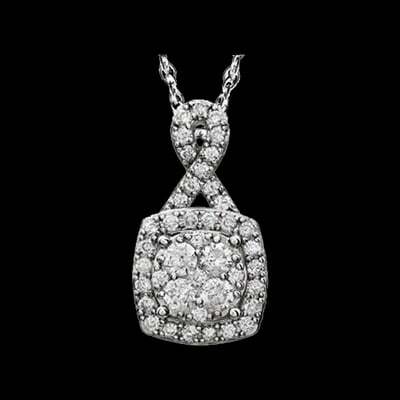 This fabulous diamond necklace is part of a new "diamonds in motion" collection and the hottest item this year. Diamonds total .57ct tw with the center being 1/2ct. Because of this exciting new setting style, this center diamond shimmers and shines in any light, with the slightest hint of movement. It truly dances in this design, you're going to just love it. 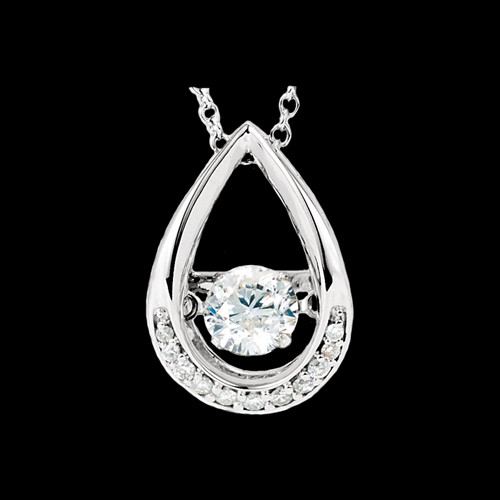 Pear shape design features the uniquely set center diamond which seems to float and move. 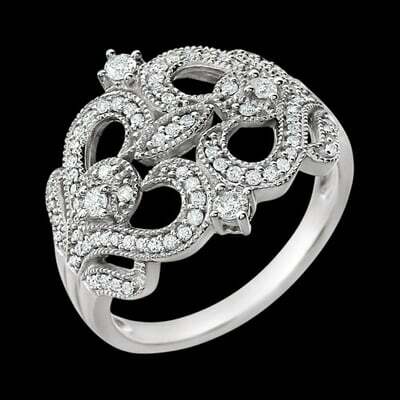 Accent diamonds along the bottom of the tear shape finish the design. Hangs from an 18" 14k white gold chain. Truly an elegant and exciting new design. Enchanting 14k White gold dueling Diamond hearts ring. Diamonds total 3/8ctw in this romantic design. Ring is about 16.6mm wide across the top and 2.8mm wide at the rings base. Stock size 7, additional sizes available but custom and non returnable. Beautiful 14k White gold ring features an 8x6mm Oval Aquamarine uniquely set in the center, diamond accents on either side are channel set and total 1/10 carat. 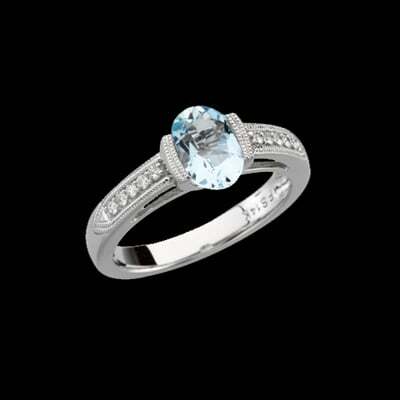 Milgrain beading adds an old world accent to this pretty ring design. 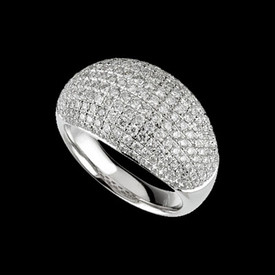 Breathtaking 14k White pave diamond ring. This domed pave diamond ring design is set with 1 3/4ct tw round diamonds and is dazzling. Ring weighs 10.58grams and features a polished finish. Pretty 14k Two Tone diamond bridal engagement ring. Center diamond is a brilliant .40ct SI 1 clarity G-I color diamond. Diamonds total 1/2 ct tw in this diamond engagement ring. Just because you are on a budget, doesn’t mean that you can’t be fabulous! 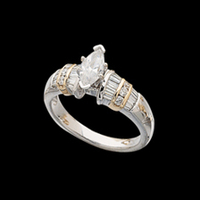 We offer an array of different styles of jewelry at discounted prices. Some of our clearance items include watches, earrings, rings, bracelets and chains. We offer all sorts of materials- even chocolate! Our diamond and chocolate earring are one of our favorite discount items right now. Other materials we offer in our discount jewelry are Tahitians pearls, white gold, gold, gemstones and our favorite… diamonds! Just because you are in search of a bargain does not mean you can’t bring the bling, or just a simple and gentile ornament to brighten up your look. Reward yourself in a way that will show everyone how hard you have worked to get where you are. Have your jewelry and wear it too!